Ecover power toilet cleaner is specially formulated to tackle tough limescale & calcium deposits to leave your loo sparkling clean. The renewable plant-based & mineral ingredients are effective, reduce pollution and lessen the burden on our planet’s resources. This super efficient gel works 10x faster than the Ecover standard formula for a deep clean. Directing the nozzle under the toilet rim, squeeze enough liquid to cover the bowl completely. For normal soiling, leave for 10 minutes, for more stubborn soil, leave up to 60 minutes. 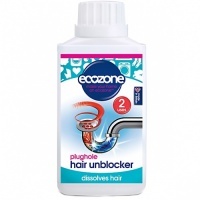 In case of very tough limescale, re-apply and leave overnight. Brush above and below the waterline and flush. Only use in the toilet bowl. We recommend you wear gloves. 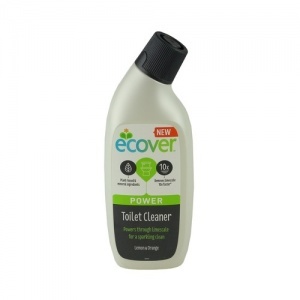 I have constant limescale build up and didn't think I could have clean toilets and a clean conscience! I left this on overnight and most of the limescale just wiped away the next morning. My husband even noticed and asked if I had been scrubbing the toilets! Of course I let him believe I had!! 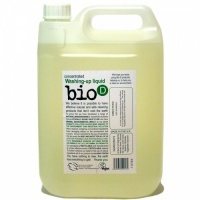 I've been looking for more natural cleaning products and found this to be really effective.